Everybody wants to look special on special occasions and at this time of the year, many of you are earnestly searching for a hairstyle that will last for hours. Every hair type has its fair share of styling issues. For fine hair, the most perplexing of these issues would be to make it hold curls long enough. Those of you with fine hair have probably been disappointed after spending an hour trying to shape your hair into elegant ringlets only to see them fall apart a couple of hours later. Why does this happen and what can you do about it? Read on to learn about the techniques, tools, products, and accessories necessary for long-lasting curl. Why is the texture of your hair important? The shape of your hair shaft will determine how well your hair will hold a curl. If you have a naturally circular hair shaft, then your hair will not hold a curl. If, however, you have a naturally flat hair shaft, then your hair will hold a curl and hold it for a long time. It is, therefore, important to have the right texture if you desire curls that will hold and last. If the right texture does not already exist, then it has to be created with the help of texturizing products. Does your hair tool affect how well your hair will hold a curl? Yes, it does. A curling iron or curling wand with ceramic plating is preferable because it protects your hair against possible heat damage and is, therefore, perfect for prolonged use. The same heat styling tool without clamps is ideal because it gives a stronger curl pattern. Flat iron with rounded off sides will do an equally splendid job of keeping curls in good shape for a long time. Conditioning your hair will make it slippery. This will not allow your hair to hold a curl. It is best to skip the conditioner because your hair requires sufficient grit to prevent the curls from falling out too soon. It is advisable to curl your hair a day or two after you wash it. The natural oils produced by your scalp give your hair the texture necessary for well-defined and long-lasting curls without the need for a hair mousse. If oily hair is an issue between washes, then you can apply dry shampoo to the roots to absorb the excess oils before curling your hair. You will need to strengthen the texture of your hair to help it hold curl longer. The alcohol contained in a curling cream, mousse or volumizing product will get rid of some of the moisture from your hair thereby making it gritty. You should apply a generous amount of the product from the roots till the ends when your hair is damp. Rub the equivalent of a baseball in long hair and the equivalent of a golf ball in short hair. Heat styling is the primary cause of hair damage in most people and damaged hair does not hold a curl. 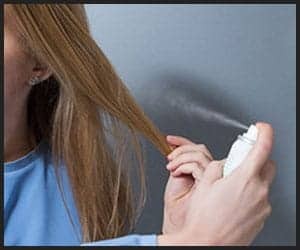 Applying a heat protectant cream or spray before using any of the heat styling tools such as the curling iron or curling wand will protect your hair against heat damage from these tools. Choose a good quality heat protectant from your local drugstore or hair salon. The mist formula is preferable for fine hair because it does not weigh your hair down. This is absolutely necessary to help you achieve a grittier texture which will make your curls last longer. Massage a dime-sized quantity of setting lotion to your hair from the mid-lengths till the ends. Alternatively, you can spray a light mist of setting spray before, during and after curling. Do not hold the spray can too close to your head – a distance of 10 inches is desirable – otherwise, your curls will end up heavy and crunchy. A high-end, good quality curling iron or curling wand has a tourmaline or ceramic coating. This technology helps the hair tool to heat up faster thereby giving you a shorter styling time. It also helps to regulate the temperature thereby preventing hair damage caused by excessive heat. 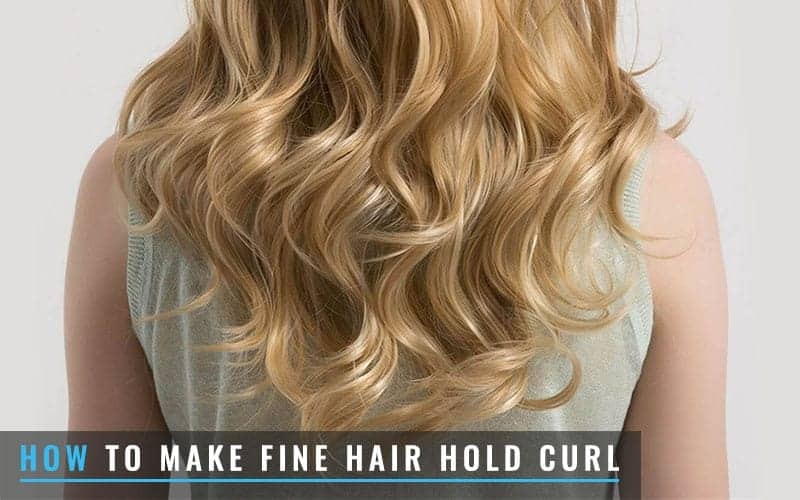 Hold the curl on the curling iron for no more than 10 seconds to avoid burning your hair. For a fuller look, curl a large section of hair at a time and for a tighter curl, style a small section of hair at a time. For the perfect curls, set your curling iron at 300 F for natural hair and 250 F if you have hair extensions. A curling wand with a barrel measuring 1-1.5 inches is ideal for well-defined and long-lasting curls. A barrel size beyond this will give you curls that fall out within a few hours of styling. To lock in the shape of your curls, secure each fresh curl to your scalp with a hairpin immediately after you remove them from the curling iron. Once the pinned curl cools down, the cuticle of your hair will close and this will allow the curl to set. When your curls have cooled down, unpin them, then tilt your head back and shake your curls out. Pass your fingers very slowly through your hair to break up the curls. Be careful not to break up the curls too quickly otherwise, they will lose their shape in a matter of minutes. 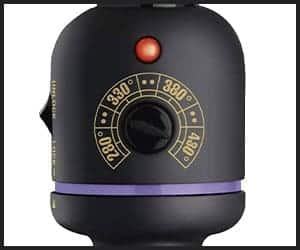 If you are pressed for time, you can simply pin the curls to your scalp and use the cool shot feature of your blow dryer to blow cold air on your curls from a safe distance to help them set quickly. The same technique can be safely applied on hair extensions. Make sure that you leave the curls tighter than you want them because they will relax within a few hours. 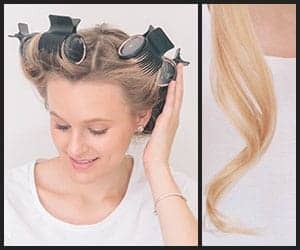 How can hot rollers be used to curl fine hair? Hot rollers are excellent for curling fine hair. The curls will last for many hours at a stretch. In addition, you can switch easily between ringlets, small curls, and loose waves without any trouble. Another advantage is that you can keep the rollers on while you do your makeup thereby saving time. 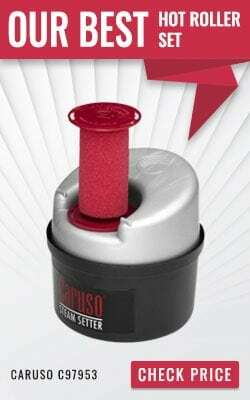 Hot rollers rely on a combination of heat and moisture to give your hair volume and curl. The heat and moisture combination eliminates the need for a setting spray or lotion by tightening the curls. Plug in the hot rollers so they will be ready. 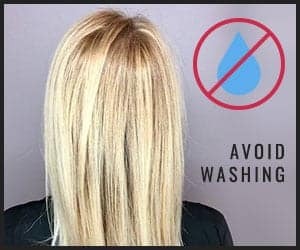 Wash, towel-dry, and detangle your hair. Comb in a hair mousse or volumizing product. Blow-dry your hair without a brush until 80% dry. Blow-dry your hair with a soft brush until completely dry. Take a small section of your hair from the front and brush through it gently. Hold a roller at the sides (never in the center) and roll up this section of your hair in the roller. Repeat step 7 with more sections of your hair. Remove the rollers once they cool down (about 15 minutes). Brush your hair just a little for perfectly curly hair. What are some things to remember before you start curling your hair? Use duckbill or alligator pins instead of bobby pins to pin your curls to your scalp to help them set. Bobby pins cause an indentation in your hair and this can make your style look unattractive. Use light hair products which will not weigh your hair down otherwise, your curls will fall apart within a couple of hours of styling. Split ends and frizzy hair do not hold a curl. Therefore, you should trim your hair every 6-8 weeks to prevent split ends and deep condition your hair once a month to control frizz.